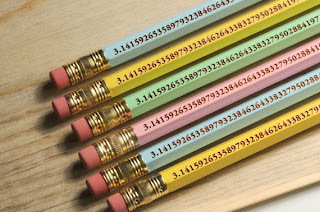 Happy Pi Day, dolls! 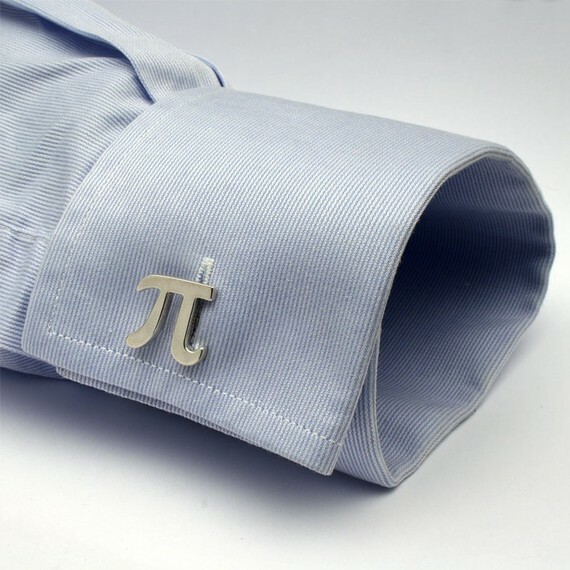 We've decided to get a little irrational this week and show some some geek chic items for you featuring the symbol or numbers of Pi. 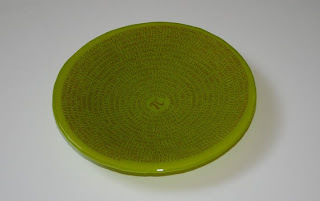 We're no mathletes or even math enthusiasts, but, we do appreciate stylish things and there's no denying that there is a bit of charm and style in geeky fashion and decor. 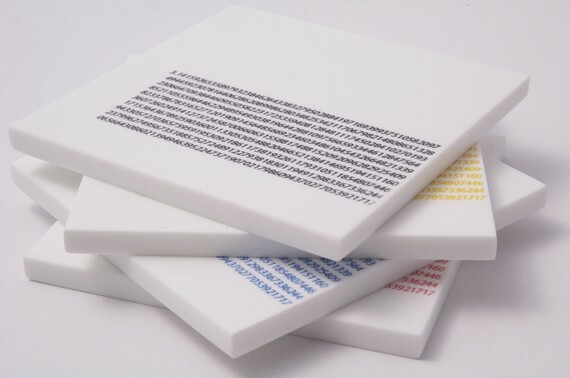 Celebrate Pi Day with a few drinks, just don't forget to protect your table with stylish, uber nerdy coasters like these! Say "I Do" while showing your love for math with thesefun cufflinks! Pretty sure we've shown you this one before, but we can't help but love it. 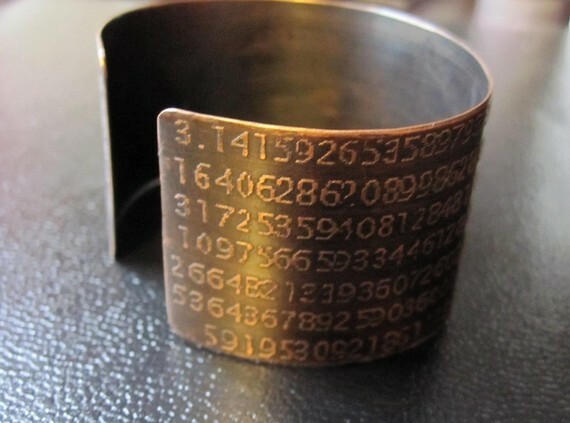 This copper cuff bracelet helps assure us that Math can be cool. Simple and yet fascinating, this decorative glass bowl features the numbers of Pi to 1,498 decimal points. And, from now until the end of April a part of the proceeds will go towards relief efforts in Japan. 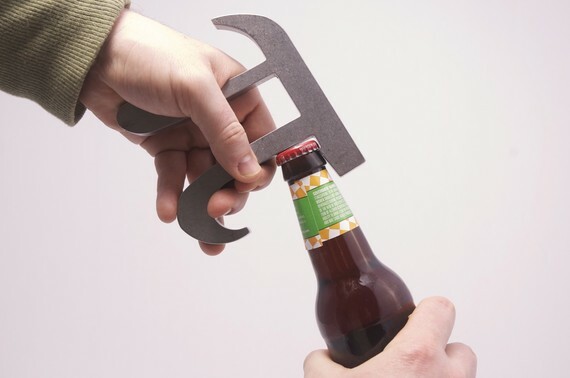 Your engineer, scientist, or number loving significant other will enjoy cracking open a cold one with this Pi bottle opener. These babies sold out fast so they are now taking pre-orders. 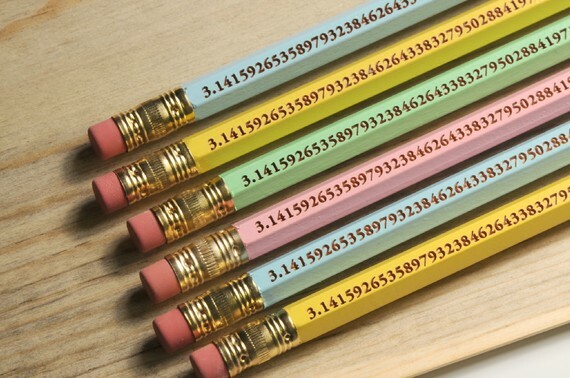 Take Math class by storm with these colorful Pi pencils. They are to 96 decimals or as long as your pencil is. 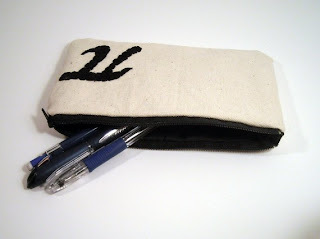 And, if you have pencils, you'll certainly need a stylish case to store them in. This hand embroidered pouch would be great for your pens, pencils, makeup and more! 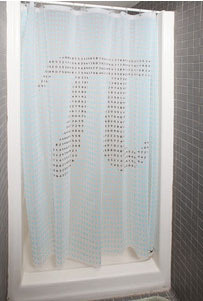 Perfect your measurements while you shower with this modern, partially see through, shower curtain featuring the symbol of Pi. 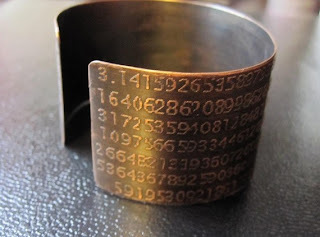 We love jewelry and accessories and find the geeky but stylish pieces are hard to come by. 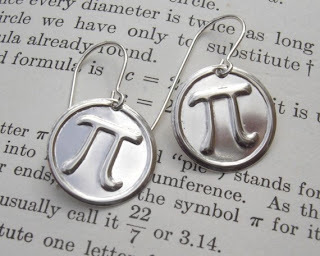 But, when we saw these fun little disc earrings that are stamped with the Pi symbol we knew the search was over! 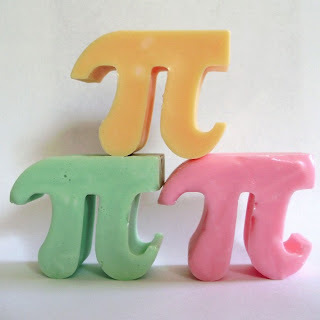 These vegan homemade soaps are cute, colorful, and come in fresh and fruity scents. Just remember, this is Pi, not pie, and even though they smell good enough to eat we wouldn't recommend it. I <3 your Pi day post! This made me so happy when I saw it because I am a mathematician and a girly-girl. You do not have to love math to appreciate it!!! I'm wayy interested in those Pi coasters. Where can I find them? 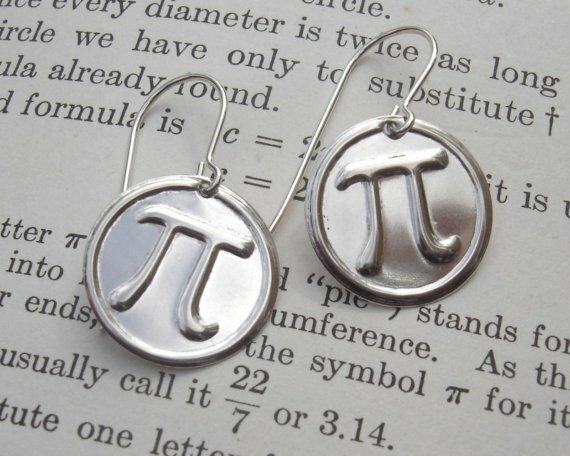 My mom is a math teacher and buys a gross of Everyone <3 Pi -- It's Irrational! pencils to hand out, so i am glad to see i'm not the only one hella aware of 3-14. Hi, Jacky. Brian B Johnson sells them on Etsy! We've added the link above! Thanks for reading.